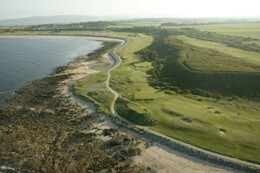 packages for visitors to enjoy the finest links golf and luxury hotel accommodation while exploring a unique and beautiful part of Scotland. Formed in 1877, Royal Dornoch means exceptional standards and we always aim to exceed the expectations of our frequent visitors and loyal members. However, we aim to do this in a relaxed, informal environment, with an emphasis on traditional highland hospitality.